Power Blog is a Specially Designed for Blogging Purpose,It's stylish yet cool Personal Blogger Template which is suitable for any type of Personal blogs, tech blog, journal, story, Corporate and other related projects. Power Blog is designed to post all Images and Videos as well from blogger Dashboard,It's very easy to customize this template, a new blogger user can also easily customize it.Just few customization needed and your blog is ready to serve. 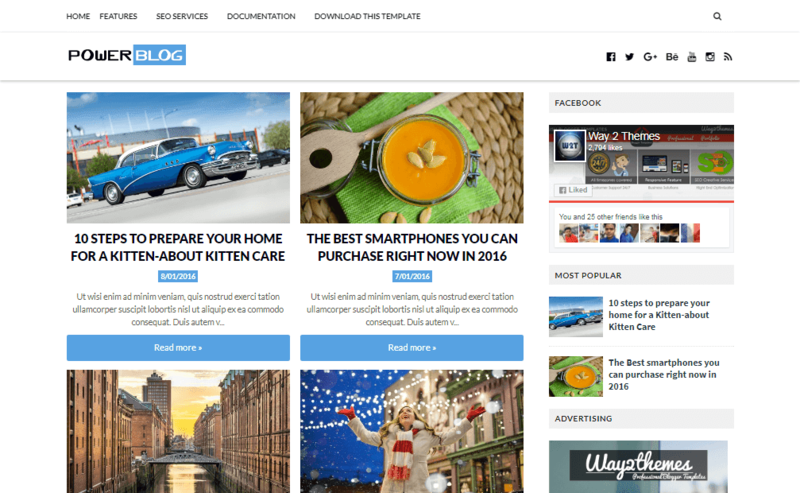 Following are some of the key features of Power Blog blogger template.